We were one of the first companies to drive the shift towards bringing people and culture data in-house. Now, almost five years later, we’re continuing to deliver on this promise as we at Culture Amp make the power of people analytics and I-O psychology accessible to companies of all sizes. We’ve rapidly expanded beyond high-growth technology companies into companies of all sizes in all industries. We’re now working with over 1,500 companies to help them drive successful organizational change and performance. It is with this success that I am proud to announce our latest US$40M Series D funding round. 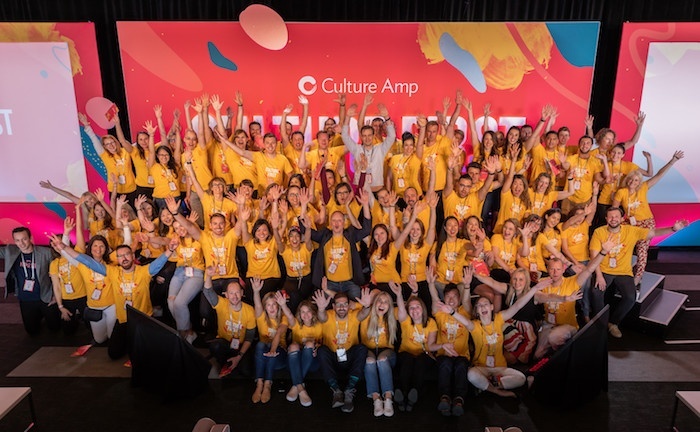 Blackbird Ventures, a leading Venture Capital firm and long-time investor in Culture Amp, led the capital raise, which also attracted investment from a number of the world’s leading software investors and entrepreneurs. Existing Culture Amp investors, Felicis Ventures, Index Ventures, Sapphire Ventures and Scott Farquhar and Kim Jackson’s Skip Capital, all participated in our latest funding. 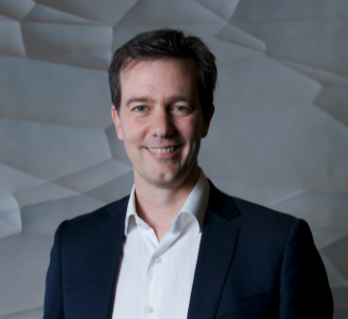 They were joined by new investors including Grok Ventures, the investment vehicle of Scott’s Atlassian co-founder, Mike Cannon-Brookes’ and superannuation fund Hostplus. The funding will be used to continue to grow our global team and invest further in our revolutionary Collective Intelligence framework - helping our customers move from collection and analysis to successful action and change. Driven by the world’s biggest community of People Geeks, Collective Intelligence allows you to not only diagnose issues - but to know what other people have done that actually moved the needle to deliver the change you’re seeking. Raising money in itself isn’t a marker of success - it's what we do with the money that really counts. It’s our mission to change the world of work, and we’re extremely excited to have the opportunity to continue to scale what we’re building to reach as broad an audience as possible. Many companies are struggling with how to drive the change they need to be successful - whether it’s diversity and inclusion, innovation or even the challenges that come with hyper growth. 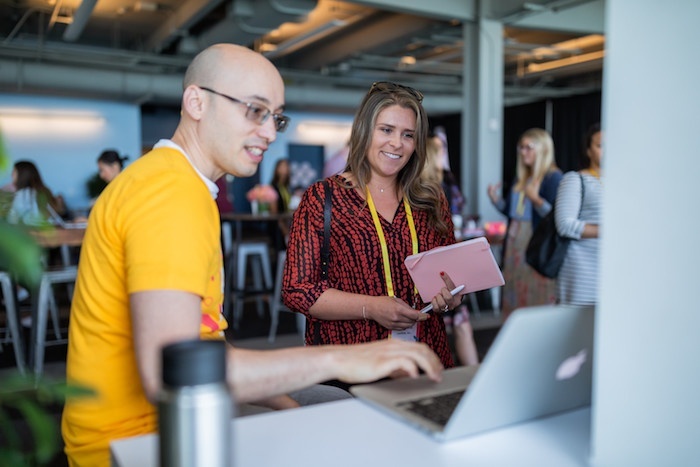 At our inaugural Culture First conference this June, we brought nearly 1,000 People Geeks together from around the world, each one passionate about this mission. 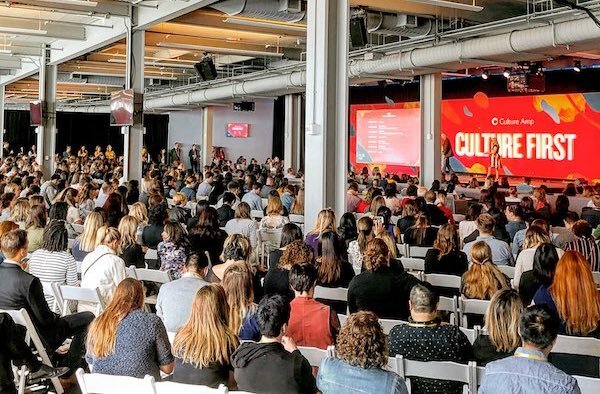 Our speakers included some of the most prolific and respected minds in the world (Patty McCord, Adam Grant, Lindsay McGregor, Susan Cain) and what we saw was a growing appetite for people to learn how to drive the change required to put culture first. Although many of our customers started using Culture Amp primarily to measure and improve employee engagement, we’re now going beyond just an end to end employee feedback lifecycle to a fully fledged organizational development platform. With context from benchmarks, real-world inspirations gathered from our community, and an ongoing action framework companies can make meaningful change to all areas of their culture. One of the key initiatives we’re proud to continue pushing forward is how our platform supports diversity and inclusion, from pioneering research to publishing the first industry benchmarks on this topic. Culture Amp is the platform that enables CEOs, executive teams, managers and every person in an organization to drive successful change and performance. We’re helping organizations to drive change with data so their cultures can better reflect a diverse and inclusive world. As we continue to deliver what modern organizations need, we’re also dedicated to building our own culture first company at scale. From vulnerability as a core value, to providing professional coaching for all employees, to revolutionizing the sales approach with a no commission model, we are proof that putting culture first is not an alternative to success - it is how you succeed.